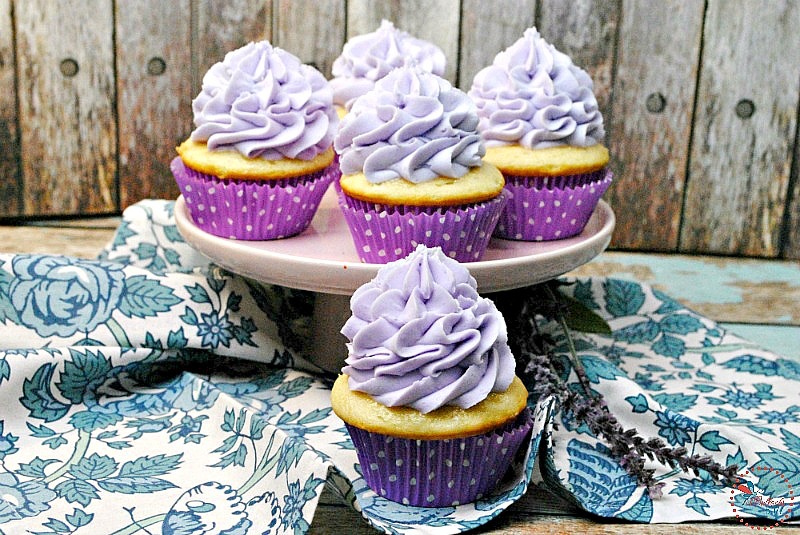 Delectable vanilla cupcakes are topped with a mouth-watering lavender flavored buttercream frosting in this simple Lavender Vanilla Cupcakes recipe. I am a huge fan of lavender. From using lavender essential oil for aromatherapy and cleaning, to growing fresh lavender in my DIY indoor hanging herb garden – the uses for this fragrant flowering herb are endless! Up until a few months ago, the only thing I hadn’t used lavender for was cooking. And while I knew you could, it actually took me quite awhile to get up the nerve to try it. Now that I have though, I love it. And today I’m super excited to share one of my favorite recipes – delectable vanilla bean cupcakes topped with a lovely lavender buttercream frosting. Adding lavender to this light and airy frosting gives it a heavenly, delicate flavor with the just the right amount of sweetness. And, of course, it smells amazing. As with any recipe that involves flowers, it’s best to err on the side of not using enough. You don’t want your food tasting like a bouquet! Preheat the oven to 350 degrees F., placing the rack in the middle of the oven. Then, in a small bowl, whisk together milk, vanilla extract and vanilla bean seeds. Set aside. Using an electric or a stand mixer fit with the paddle attachment, cream together the butter and sugar for about 3 to 5 minutes until light and fluffy. Make sure to occasionally scrape down the sides of the bowl to make sure everything is well incorporated. Next, add the eggs, one at a time, beating for one minute after each addition. Then, with the mixer on low-speed, alternate adding the flour mixture and the vanilla milk mixture in three batches, starting and ending with the flour. Pro Tip: when the batter is almost combined, stop the mixer and finish mixing with a spatula in order to ensure any flour bits at the bottom of the bowl are well incorporated. Divide the batter into the lined cupcake pan. Bake for 22 to 25 minutes or until golden. Allow cupcakes to cool in the pan for 15 minutes before removing to cool completely before frosting. 1 cup butter (2 sticks) – real butter, not shortening or margarine or butter substitutes, at room temp. Place the butter in a bowl and whip for 2 minutes with the mixer on medium speed. Add the lavender and food coloring and continue mixing for another minute. Slowly add the confectioners sugar and continue mixing for 3 minutes or until light and fluffy, stopping occasionally to scrape the sides on the bowl. Now all that is left is to frost each cupcake using your favorite frosting tip. I used star tips to get this particular design. 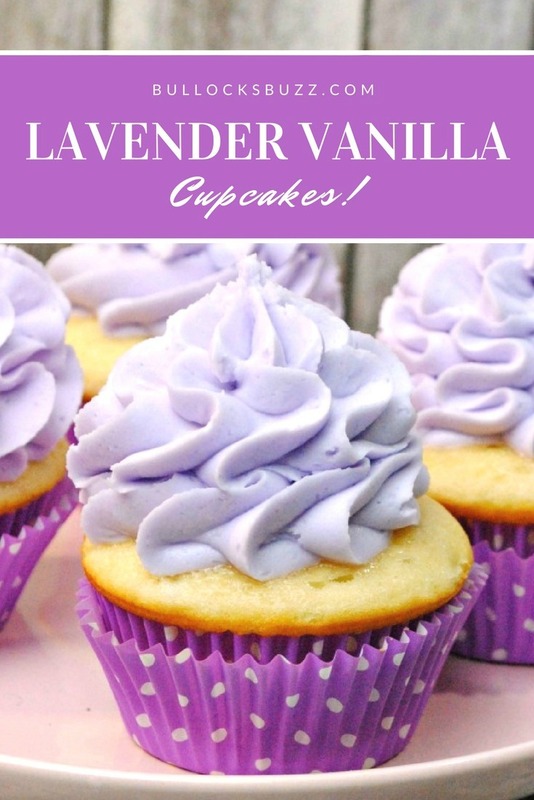 I hope you enjoy these Lavender Vanilla Cupcakes as much as I enjoyed making them! 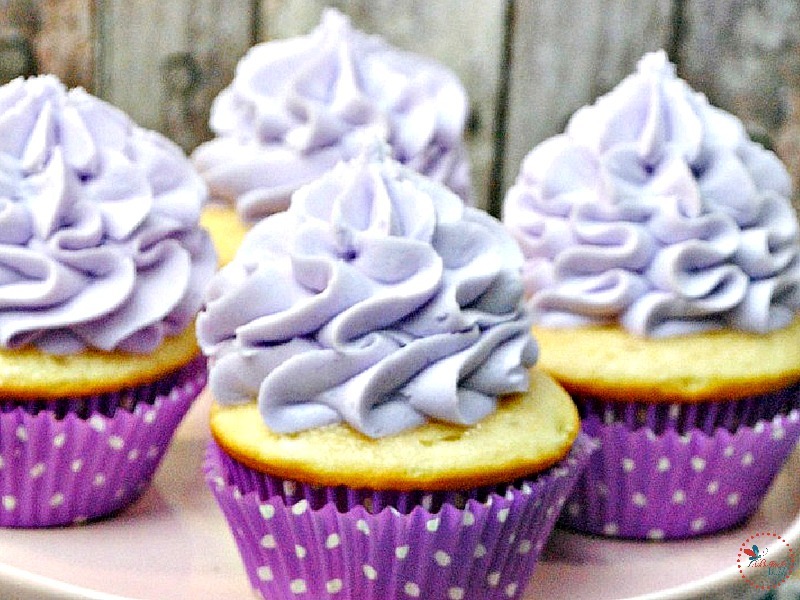 Delectable vanilla cupcakes are topped with a mouth-watering lavender flavored buttercream frosting is this simple Lavender Vanilla Cupcakes recipe. 1 cup butter 2 sticks - real butter, not shortening or margarine or butter substitutes, at room temp. Preheat the oven to 350 degrees F. with the rack in the middle of the oven. Using an electric or a stand mixer fit with the paddle attachment, cream together the butter and sugar for about 3 to 5 minutes until light and fluffy. Make sure to occasionally scrape down the sides of the bowl to make sure everything is well incorporated. Then, with the mixer on low speed, alternate adding the flour mixture and the vanilla milk mixture in three batches, starting and ending with the flour. Allow to cool in the pan for 15 minutes before removing to cool completely before frosting. Using real butter instead of shortening, margarine or other butter substitutes gives you a much better taste! 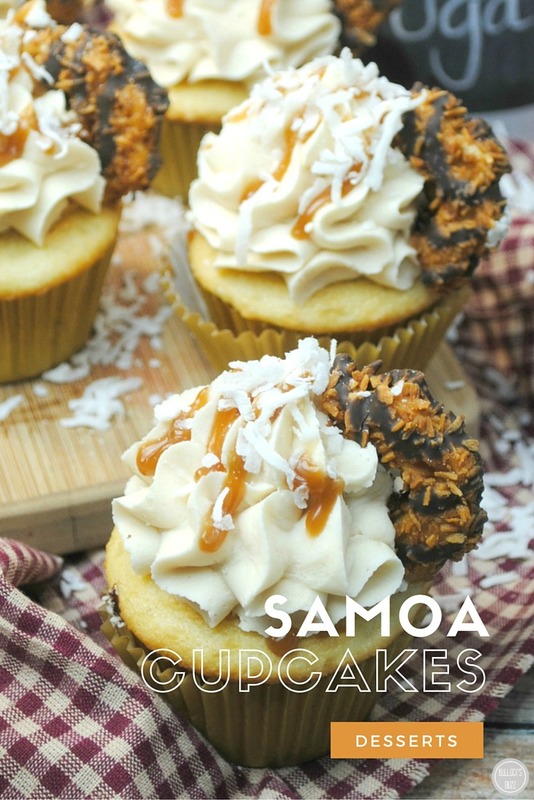 Do you have a favorite cupcake recipe? Share with us in the comments below! Love this post? 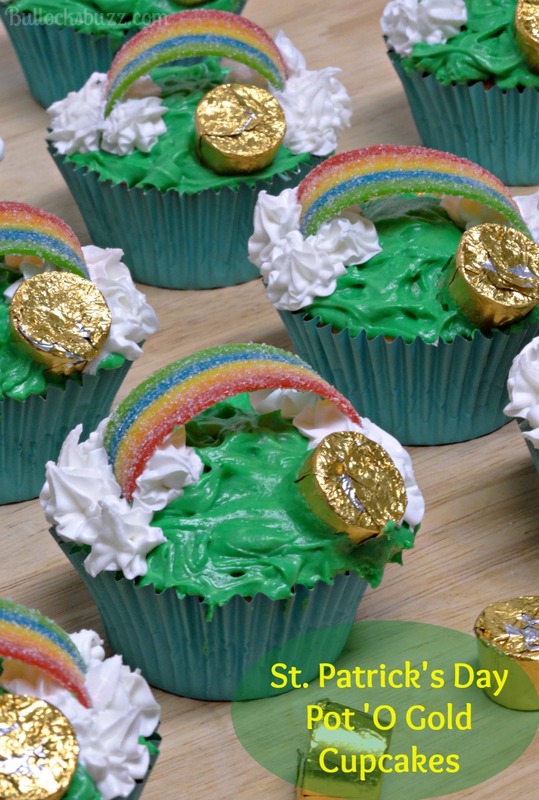 Here’s some more cupcake recipes I think you’ll love!